High-end monitor specialist ViewSonic has released a supercharged screen specially designed for photographers and graphic designers. The VP2768 boasts a list of incredible specs, including a 27-inch SuperClear IPS panel and an in-built colour engine with a palette of 4.39 trillion colours. Hardware calibration-ready and with embedded DisplayPort technology, ViewSonic’s new VP2768 monitor is available now with an RRP of £549. For many photographers, both professional and amateur, the importance of using the right hardware stretches far beyond the camera and lens. 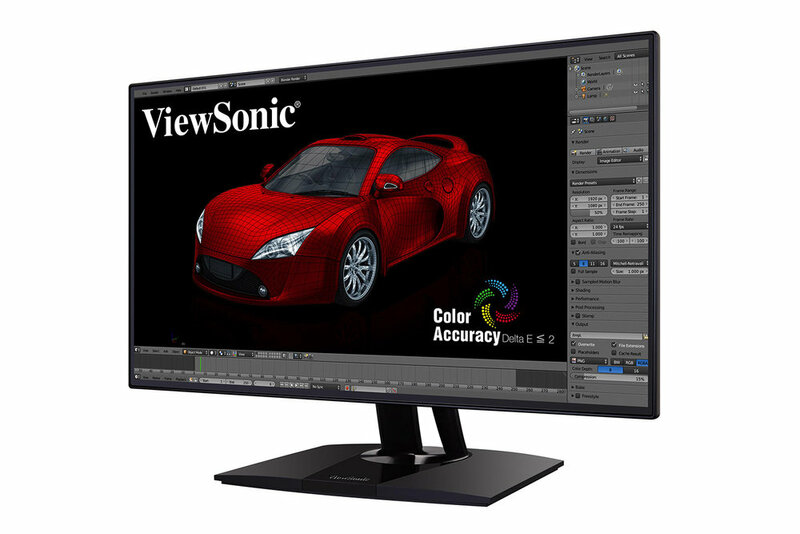 The VP2768 is the newest model in ViewSonic’s award-winning professional monitor range and has been engineered specifically for photography enthusiasts, graphic designers, content creators and image editors. The 27-inch monitor, with its SuperClear IPS panel and WQHD (2560×1440) resolution, provides users with a seamless viewing experience and the perfect platform to experiment with images and colours. Delivering nearly double the resolution of Full HD monitors, the VP2768 packs a pixel punch for incredible detail and true-to-life imagery that professionals demand. With 99% sRGB panel coverage, the ViewSonic VP2768 monitor reproduces richer and more vivid colours for superior accuracy straight out of the box. Capable of precisely reproducing images using an in-built colour engine with a palette of 4.39 trillion colours, the VP2768 is every photographer’s dream. For ultimate colour accuracy, the VP2768 is hardware calibration-ready and can be used in conjunction with the CS-Xri1 – ViewSonic’s own Colorbration tool. Co-developed with colour-specialists X-rite, it allows users to quickly and easily calibrate the monitor for optimal performance across a wide range of applications to suit their individual needs. When combined with the monitor’s swivel, pivot and height adjustment functions, the VP2768’s sleek and contemporary design enables the monitor to fit seamlessly into any workspace setup. The embedded DisplayPort technology means multiple displays can be easily daisy-chained with a single cable and when used in multi-monitor setups, the frameless design provides a fuller viewing experience without the distraction of borders. Other connectivity options include HDMI 1.4, USB 3.0 (type A and B) and mini-DisplayPort, which mean users have the flexibility to connect with MacBooks, UltraBooks and other hardware instantly. With the support of world-renowned photographers including Americans Clay Cook and Dixie Dixon, as well as the UK’s Sanjay Jogia, the VP2768 monitor enables users to edit and showcase their brilliant photos in superb high-definition quality. The VP2768 launches in the UK in June 2017 with an RRP of £549.